Good evening Ladies and Gentlemen. I’m pleased to see so many of you choose to turn up for a lecture on choice. Tonight we’re going to explore how our desire for choice, and our frustration when presented with too much choice, are being challenged by some new thinking about the role of choice in society. It wouldn’t be a Commerce lecture without a commercial. First, I would like to promote a special Sir Thomas Gresham Lecture in The Docklands. On Thursday, 21 September, Professor Werner Seifert, the former CEO of Deutsche Börse, will speak on “Productivity and Capital Markets: Globalization Meets Parish-Pump Politics” at Cabot Hall in the Docklands at 18:00. Second, I’m pleased to announce that the next Commerce lecture will follow the theme of better choice and explore Prospect Theory – “Why Do People Play the Lottery? Make Up Your Mind!” here on Monday, 25 September 2006, at 18:00. 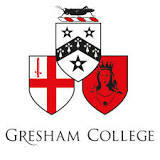 I doubt many of you care about the mechanics of the Gresham lectures, but the professors have to choose the titles and descriptions of talks well over a year in advance. I chose this topic some 14 months ago. After the 40 word description of this talk made its way into the Gresham programme, numerous friends pointed out that there were several new books covering similar ground. At first, I was dispirited, since I feared the topic would certainly have been better covered elsewhere. Over the past 14 months, I’ve enjoyed some of these books immensely, particularly Schwartz’s “The Paradox of Choice” and Surowiecki’s “The Wisdom of Crowds”. Over those 14 months “choice” has become a politically-loaded word, with politicians shrilly stressing the importance of choice in the quality and availability of public services. I have read the books, and shall draw on some of their thinking during parts of this talk, and I have listened to the political banter, and tried to clear my head afterwards, yet there do seem to remain several viewpoints worth sharing with you tonight. “Choice consists of that mental process of thinking involved with the process of judging the merits of multiple options and selecting one for action. Simple examples can involve deciding whether to get up in the morning or go back to sleep, or selecting a given route to make a journey across a country. Let’s start with one famous expression, “Hobson’s Choice”, meaning no choice at all. Thomas Hobson was a stable owner who lived from 1544 to 1630 in Cambridge, near today’s St Catharine’s College. He rented horses to the community. In order to make sure the academics gave his horses enough time to rest, he rotated the horses through the stalls over the hours such that the best-rested horse was always next to the door. Hobson offered customers the choice of taking the horse in the stall nearest the door or taking none at all. Where to elect there is but one, ’tis Hobson’s choice - take that or none. One famous Hobson’s Choice aphorism is ascribed to Henry Ford about his Model T automobile - Henry Ford was said to have sold the Ford Model T with the famous Hobson’s Choice of “any color so long as it’s black”. Apparently the Model T did have a few varieties, but the importance of quick-drying paint, available only in black, meant that rapid production favoured black. We object to restrictions on choice. We seek to create choices whenever we are “between a rock and a hard place”. From Alexander the Great severing the Gordian Knot, to Christopher Columbus standing an egg on end by the simple expedient of cracking the shell a little bit, to Star Trek fans revelling in the Kobayashi Maru simulation exercise, we enjoy creative solutions to overtly “no-win” situations. In business we are exhorted to “think out of the box” through the mantric repetition of a seriously tired cliché that ought to be locked and thrown away with the box. Yet Magee notes that “accepting responsibility for our lives involves continually facing difficult choices and decisions, and bearing the consequences of them when they are wrong, and this is burdensome, not to say alarming.” [Magee, 1973, page 87] We probably don’t have time tonight to consider that many people in many situations wish to avoid choice. We also don’t have time to consider how many people are satisfied with illusory choices! What is your first major choice in life? Whether or not you believe in free will! The principle of free will affects religion, ethics, science, psychology and politics. Our cherished concept of freedom is coloured by whether or not we believe a deity controls our actions or whether we can have morals or whether our brains are not wholly of our physics or whether we are actually capable of conducting true experiments. If we succeed at something knowing that we haven’t made a conscious effort, believing that we’ve just been lucky, we find it difficult to savour our so-called success. The topic of free will is perpetually interesting, but I’d like to move on to some other choice (sic) topics. Before doing so, notice that the free will versus determinism debate is intimately connected with whether you believe in chance. As we shall see, choice is bound up with chance, and as we know, “chance would be a fine thing”, so choice should be a fine thing, right? However, just because we have a tremendous amount of consumer choice today compared with the past doesn’t necessarily mean that we have too much choice, just more choice. One indicator of available choice is advertising. I tend to get most annoyed by little jingles from monopolistic operating systems suppliers or government-sponsored advertising. Monopolists clog up the airways without giving me any options. We have the advertising without the choice. On the other hand, there is a danger that we look at commercial advertisers striving to inject biases directly into our minds and conclude that they too have gotten out of control. Rather, advertising may be a sign that we have sufficient choice in certain areas, without implying that we have too much. George Shea observed in 1956 that “The Russians don’t need to advertise most goods for somewhat the same reason one doesn’t need to advertise food to the hungry”. [note 3] When we have a dearth of advertising, perhaps we should look for signs of scarcity or monopoly control, but if we agree that today we do have more choice, how might we measure a surfeit? At what point could we say, “enough choice! stop here!”. One of modern life’s biggest tensions is the tension between “shopping” and “buying”. You may recall a few lectures ago that I pointed out how my relationship with my wife is thermostatically challenged. As with many couples, she likes it warm while I like it cool. Well our relationship also exhibits “bizarre bazaar syndrome”. When we find ourselves in places such as department stores, shopping malls or street markets, our behaviours go haywire. Well, actually hers goes bizarre. I want to go straight in and get something while it’s fairly clear that she hardly knows what she wants. As I maintain, “women go shopping, men go buying”. Unfortunately for me, my wife may be the more sensible party, as she has been on numerous occasions. By focusing overly much on one aspect of efficiency, most of the time it’s either my wallet or my time, I miss out on learning. Repeatedly, my wife is able to get better deals or spot flaws in things that I would have purchased. You can probably guess with ease which of us has taken the time to save the family thousands through re-mortgaging, and it wasn’t me. Shopping is about learning and as a know-it-all man it’s temperamentally troubling to have to revise my opinions. Opportunity guilt is a shorthand term I use for a situation that frequently occurs after strategic planning. Take an organisation that has just finished an extensive strategic planning exercise. The moment it is finished, an opportunity presents itself that was not foreseen in the strategic plan. If the organisation takes the opportunity, was the plan wrong for not including the possibility, and was strategic planning a waste of time and resource? If the organisation foregoes the opportunity, is it slavishly following a plan oblivious to changing circumstances? For example a shirt company just finishes a strategic planning exercise assuming that no acquisitions are available because the only desirable acquisition has an exorbitantly high price/earnings ratio or is ‘takeover proof’. The strategic plan focuses on organic growth. Suddenly, the founder of a venerable competitive shirt firm dies and his/her heirs wish to sell immediately. When confronted with this sudden, unexpected acquisition opportunity, people in the shirt company are going to feel regret either with a decision to proceed on the acquisition or with a decision to stick to the organic growth plan. Because of all the hard work on the strategic plan, they can take the opportunity, yet feel guilty that the work was wasted. Or they can stick to their plan, despite the opportunity, yet also feel guilty about what they might have missed. One confronts my Catholic paradox of ‘opportunity guilt’ in strategic planning, but in numerous areas where choices constrain activity. We have pre-decision regret - “Will my wife complain that if we’d spent more time we could have found a better house?”, and post-decision regret – “If only I’d spent more time, I could have found a house with a better plumbing system”. Large organisations have spent a lot of time trying to remove possible regret from their buying decisions with sometimes perverse results. Intriguingly, the bizarre bazaar syndrome turns up in intense organisational schizophrenia. Large companies and government departments centralise their purchasing, supposedly to achieve economies of scale. This centralisation is normally done in aid of making sure that the really important decisions are made by professionals. Sometimes these really important decisions include things like all hiring, for example a central personnel or human resources team does all of the hiring. Sometimes it’s travel or car fleets or stationery. Sometimes these central units work well, particularly if things are commodities bought in bulk and choices are static. Many times these central units fail as they can’t satisfy local needs from central buying. How can HQ choose some country manager’s personal assistant better than him or her? Central buying doesn’t permit local shopping and without shopping there is no learning. A good example is software purchasing by central government departments. Rather than go shopping, that is learning what’s achievable and then re-designing their requests for tender, government departments set out “requirements specifications” just about as soon as they can. Most requirements specifications read – “we know what we want and don’t need to learn what might be available because we’re so important and too busy to shop” (a bit like me asking my wife to buy things for me). Bureaucrats hand these requirements specifications to people who know next-to-nothing about how the software will be used nor much about software in general; they are purchasing experts. These experts do know how to drive suppliers to meet the specification exactly. So, even if the requirements specification is accurate, suppliers wind up creating something at great expense, and late, and using older technology, to meet a requirement that might easily have been met with off-the-shelf software had a little flexibility been involved. It is as if I sat at home and said that in order to write this lecture I need a quill pen of such-and-such a length, trimmed “just so”, with an inkwell that looked “just like this” because I was too busy to go down to the shops to learn about the existence of biros or word-processing. Buying evolves through shopping. People frequently just don’t want to choose. It’s so much responsibility. Barry Schwartz notes that, “there comes a point at which opportunities become so numerous that we feel overwhelmed. Instead of feeling in control, we feel unable to cope.” [Schwartz, 2004, page 104]. He goes on to point out that when surveyed, people state that they would want to choose their mode of treatment if they got cancer, but when you ask people who actually have cancer, on balance they would prefer that the professionals chose the mode of treatment. Barry Schwartz points to a New York Times quote from a young person, “What happens when you have too many options is that you are responsible for what happens to you.” [Schwartz, 2004, page 142, but see note 2]. It is interesting to see that this has led The Economist to mark the rise of “the avuncular state” in what it terms “soft paternalism”. States have always tried to convey public information about risks, e.g. smoking or drinking, but new state programmes are emerging to reduce risk, and they have popular backing. People are asking the state to protect them from themselves, for instance by having self-confessed gambling addicts blacklist themselves from establishments or for people to have to opt-out actively from not-quite-compulsory saving schemes. This is the voluntary removal of choice from some individuals. It is also a comedy staple, where the main actor asks some obliging but dim friends that he or she, under no circumstances, be allowed to do something. The friends duly enforce the main actor’s request with unforeseen consequences when the main actor needs to be released from his or her own commands. Soft paternalism is a bit reminiscent of another conundrum, “Could an omnipotent being create a stone that it could not lift?”. To try and restate it in these circumstances, “Does a free citizen remain free when restrained by his or her own orders?”. When examining the idea of evolving choice, we can consider the forces of competition using Professor Shiv Mathur’s work at City University. Shiv maps generic competitive strategies by concentrating on the interface between an organisation’s offerings and its customers. He sets out a diagram with four competitive strategies – commodity, product, service and system. The four types of strategy are dictated by the amount of ‘hard’ merchandise and by the amount of ‘support’ needed. If we look at computers we can see the four strategies in action: large scale warehouses sell boxes of personal computers as a commodity; some suppliers try and brand their products so we care about the label, e.g. an Apple computer; some local firms that hold our hands for a new computer network are service-oriented; some of the biggest firms compete in the outsourcing market trying to provide a complete system solution. Strangely, advertising is a strong sign that people are trying to swim against the tide flowing down the commoditisation plughole, by emphasising the choices we face, whether real or illusionary. At the same time, people get bored with making obvious decisions. “I just want … a car that gets me from A to B; a piece of software that does what it says; a simple cup of coffee”. The evolution of choice is part of the evolution of industries. Advertising in a competitive, innovative market is healthy and shouldn’t get out of control because competition will ensure that ineffective advertisers, or those who advertise too much at the expense of profit, will go bust. This surfeit of advertised choice is not a sign of failure, rather a sign of uncertainty about the future choices people may want to make and an effort by firms in competition to evolve to new sets of choices. The effective way to compete in Shiv’s map is to swim against the tide flowing from System to Commodity. Some industries are “gutted”, stuck in the Commodity box with little profit to innovate. To move from the Commodity box, firms have to make people care about whom they’re buying from. The profits they make, decreasing as firms float to the bottom left, need to be used to evolve new merchandise and new support. Profit gives firms the ability to evolve. Innovation is needed to swim against the tide successfully. Today, new technology is helping firms to swim against the tide by undermining the efficiency of commoditisation. Industries are successfully moving away from mass-produced commodities and toward personally customised services. Evolution has happened in automobiles. First you could order a model, then a profusion of permutations and now you can, in effect, purchase a long-term transportation provision contract. Hardware and software companies now allow you to specify a customised computer online and have it delivered in days. Airlines let us do things personally that formerly had to be done through agents. Drug companies hope to be able to move from general prescriptions to highly effective, personalised drug combinations specific to just one person’s DNA. In the Far East one finds “Temples of a Thousand Buddha’s”. In their day, one showed devotion by constructing at great effort a thousand identical likenesses at a time when everything was a “one-off”. Perhaps we will renew this concept of worshipping the wonder of mass production when we look back from the near future where everything is personalised, specific to each one of us. Now I’m not saying that there aren’t areas where there is too much choice, though my son has been heard to say that “nobody’d be selling if nobody’d be buying”. Nor am I going to comment on the ethics of some areas of super-abundance. Personally, I look at some products and services, for instance the proliferation of four-wheel-drive vehicles in urban environments or the popularity of online gambling, and wonder – is this product or service transient or permanent? About some products or services, four-wheel-drive vehicles used in urban environments again, I wonder how we can improve the pricing of externalities in order to achieve fairer competition with other forms of transport, but my faith is that long-term competition will find a stable level of product popularity, advertising and choice. I also wonder about our inability to grasp choice when it’s offered. This musing might belong better in the field of anthropology, but has been around for a while. When television competition heated up a couple of decades ago with new cable and satellite entrants, there was talk of opera channels or art channels or science channels bursting forth. Once technology unleashed micro-broadcasting we would witness an explosion of interest in self-improvement. Two decades on these channels do exist, scraping by, while the majority of people watch mass-media reality television or sports events. On the other hand the micro-broadcasting vision has partially arrived and flourishes in some new media, for example blogs are all the rage. Business people have been talking for a few years about Chris Anderson’s idea of the “long tail” of the statistical distribution of interest. The idea is that the internet allows firms, for example Amazon, to make money by supplying people with a full bookshop of rare, infrequently ordered books. A traditional bookseller would go broke on space cost alone stocking such low frequency items, but an online bookseller can turn lots of smaller pieces of inventory into significant market share. Again, we see a fantastic range of choice. Then why is it that everyone buys The Da Vinci Code which seems to be well on its way to sales of 50 million? So we can summarise so far by noting that shopping is important (pace to the wife) but we frequently fail to learn; that mass customisation may be replacing mass production; and that we seem to have more choice than ever but may not be exercising it. I’d like to highlight some contrasts between consumer choice and democratic choice. In the crypto-pseudo-philosophic dialogue of the Matrix Reloaded (2003) Morpheus states pretentiously, “Everything begins with choice” only to have the Merovingian answer, “No. Wrong. Choice is an illusion, created between those with power, and those without.” Democratic choice is interesting. It was another Gresham Professor, Geometry Professor Robin Wilson, who drew my attention to the fact that Charles Dodgson, better known as Lewis Carroll, published pamphlets on voting theory. Arrow and Dubreau proved in the 1950’s that no voting system can possibly meet a certain set of reasonable criteria when there are three or more options to choose from, gaining Arrow a Nobel prize in economics. Among multiple choices, choice is not transitive. Following from this work, Amartya Sen contradicted the libertarian position that markets are probably sufficient to produce an optimal society while simultaneously emphasising that markets should be measured by their degrees of choice and freedom rather than welfare economics. The entire area of figuring out what it is best for individuals to do when they have to act in a group to make decisions has long attracted interest. While we’ve had fantastic intellectual excursions through decision theory, game theory and public choice theory, we keep coming back to the need to recognise the evolution of power and structure in real-world decisions. As if you needed to be told, politics is here to stay. Boudreaux and Crampton put forward an interesting model that I wish to develop a little further with you. They point out that rational people will only work to make better decisions when the stakes warrant doing so. They highlight Bryan Caplan’s term “rational irrationality” –decision makers change their behaviour where they have less personal stake in a decision or less influence over a decision. Boudreaux and Crampton put forward four decision archetypes: shopper-voter-spectator-dictator. They point out that the shopper has a high personal stake and ability to be decisive. Clearly this is true of many consumer situations. They point out that voters, who have a high personal stake but low influence in majoritarian voting conditions, are not incentivised to gather and weigh information in the same way as shoppers. Dictator-type decisions occur in areas such as state housing or drug regulation. People asking for a decisions from disinterested spectators, such as me on any sports television programme other than sailing, “will receive an answer as uninformed as it is uninspired”. In cricket I always cheer for the team in white. Basically, Boudreaux and Crampton contend that the shopper quadrant, if it exists or can be created, results in decisions based on better information executed with better prudence. Buyer-user-shopper-chooser was a phrase we started to use in a firm I worked in back in the late 1980’s. The four words have always resonated with me. I’ve wondered if we just came up with it or someone brought it in, so I’ve searched for a reference to this model without success (so my appeal to anyone who can help and my apologies to anyone I’ve failed to credit so far). Nevertheless, I have found it useful over the years. This model predates Boudreaux and Crampton, but I think you can take their shopper quadrant and realise that it is, at times, too simplistic. chooser: this might be my sister or sister-in-law. I turn to her for advice on what my wife might like and what’s appropriate. Once you think about it this way, you realise that for many decisions these four roles are done by four different people or organisations. When I’m buying a house on mortgage, to some degree the bank is a buyer with me, my family is the user, the estate agent might be the shopper and my wife is the chooser. When things are commodities, this buyer-user-shopper-chooser model might collapse into a single person. I go to the newsagent and buy a newspaper – I’m buyer-user-shopper-chooser. In public procurement, very often the buyer is the Treasury, the user is the government department, the shopper is the procurement unit and the chooser is a specialist panel, often involving technical consultants. The question I’d like to leave you with is the next time you’re trying to sell to someone or some group, ask yourself who among these, buyer-user-shopper-chooser, is the key decision maker? An antithetical approach is to try and solve problems directly rather than through emergent systems such as markets. Problem-solving approaches are numerous. Many thinkers have tried to rationalise complex decisions. Critical Systems Heuristics (CSH) spans a wide range of issues, starting from the philosophic to the pragmatic implementation of systems methodologies to solve problems. Heuristics refers to the process of discovery through reflection and uncovering, somewhat prosaically described as discovering ‘rules of thumb’. Much of the original work is by Ulrich who seeks nothing less than to apply systems thinking not as a science of “how to do things” but as a practical philosophy which helps us determine “what we ought to do”. Ulrich recognises the wider contexts of power, interests, motivations, proposals and counter-proposals. A town has five 11-to-16 schools and one 6 th-form college. The college has 1,500 students and is able to provide a choice of 45 different A-level subjects and 12 different vocational courses. Government decides that students in the town should have wider choice and encourages the schools to open 6 th-forms. All five of the schools open 6 th-forms and half the students who would have previously gone on to the college now stay in the school 6 th-forms. There are now five 6 th-forms averaging 150 students each and a 6 th-form college of 750 students. For any single school, there are insufficient numbers to support most minority subjects. The school 6 th-forms offer a choice of roughly the same major subject 25 A-levels and no vocational courses because the less able students do not help their league table positions. Of course the 6th form college must discontinue half the vocational subjects and a third of its A-level subjects due to lack of demand. Students in the town can now choose from six different places to study 6 th-form courses, but can select from among only 30 A-level subjects instead of 45 and six vocational courses instead of twelve. Do they now have more choice or less? Is the choice of 6 different Oasis CDs a better or worse choice than a choice of 6 CDs by different bands, only one of which is Oasis? Ulrich attempts to reconcile two positions, the scientific systems approach and the social systems approach “for the planner who understands himself as a systems designer” [Ulrich, 1983, page 321]. Ulrich’s recognition of the need for a third way between the “machine” views of scientific systems and the “organic system” views of many social systems approaches resonates with the fact that many systems are built as “purposeful systems”, organic but designed to perform a function. You won’t be surprised to find that Ulrich puts forward four actors. Each of the four actors, client, decision-taker, designer, witness, is likely to have different opinions about the “is” mode and the “ought” mode, as well as the sources of motivation, power, knowledge and legitimacy. Nevertheless, rather than better and deeper thinking on problems, I believe that the big ideas emerging in the field of choice are those to do with new technological means of increasing involvement in decision-making. If we contrast the supposed inefficiency of all of our billions of daily commercial transactions, each one a buyer’s vote for (and implicitly against) a commercial choice, with the obvious success of markets over centralised planning, we realise the full information and directive powers of markets. Yes, one person making all decisions is more efficient than 1,000 people or 1,000,000, but the decisions will be poorer, their conclusions disputed and the variety of choice emerging from competitive evolution reduced – where you most save, you least need it. We are starting to see a blur between personal choice and business choice as new technologies loose the power of appealing directly to the people. Some of the newer techniques include simple rating systems, the affinity software used by larger websites to suggest products we might want, shareholders being asked how they might vote their shares earlier, interactive games that help us to make decisions, interactive games that help us to inform larger decisions and even some incipient trend detection using fantasy share or gambling games. These sorts of approaches do tend favour the Darwinian over the Newtonian. Emergent systems tend not to try and solve problems through pure rationality. This may be a loss at some levels and a gain at others. For instance, people may feel that it isn’t worth trying to rethink public systems, that what the people think today should prevail, until they change their mind tomorrow. Will we see fewer great solutions such as Bazalgette’s sewers, simply because the novel solution to waste and cholera is not in the forefront of the majority’s minds? proper measures – society frequently views markets a bit like ‘Sorcerer’s apprentices’ – they start off well but then suddenly seem to function too well. However, closer examination often reveals that society was never too sure how it would evaluate a market’s success, for instance carbon markets today. Yet while markets do what they do rather well, share information and arrive at sensible resource allocations, they do have to be sensibly targeted with the right resource information at the appropriate decisions. So, can we have too much choice? I don’t think so. It costs a lot to maintain the availability of choice. Choice is restricted by the need to provide returns in excess of the cost to those who offer choices. Choice is much more about Darwinian selection than Newtonian problem-solving. Evolutionary pressures create choice, and evolutionary selection scythes down, in time, the useless and the frivolous. Well, one thing we didn’t have time to cover tonight was how time available to make a decision can affect its quality. So in conclusion: my final thoughts on whether we do or don’t have too much choice? All I can say is that I used to be undecided but now I’m not sure.